The NOW Orchestra is keen on working with guest artists, either workshop or residence style. Past collaborators have included René Lussier (Le Tour du Bloc) and George Lewis (The Shadowgraph Series). These previous projects cast the outside musician/composer as a featured guest. 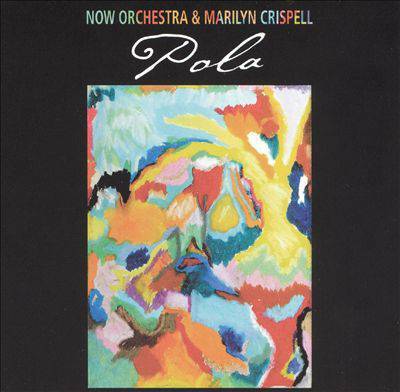 Pola puts Marilyn Crispell in the role of an integrated guest -- which probably explains why the album is billed to the NOW Orchestra with Crispell, and not the other way around, as was the case with the Lussier and Lewis projects. The grande dame's piano is not mixed front center; she is not taking one solo after another, either. She is simply playing with the orchestra, as part of the orchestra. She also contributes one composition, the 15-minute "Yin Yang," which gives the NOW quite a workout. High in dynamics, with excellent use of the band's skillful brass section, the piece is an exhilarating run for your money.